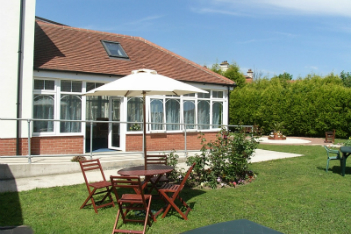 The Home is beautifully furnished, set in charming landscaped gardens, close to the sea. 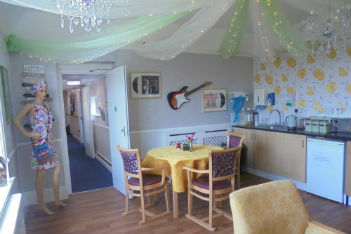 We are registered for 57 and have mainly single “light & airy” ensuite rooms. 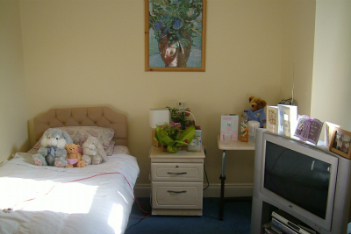 We also have a few double rooms & are the current first choice of most couples in our locality. The home has been designed to offer luxurious living space for our valued residents and visitors. We have specially designed this room in an era familiar to all ages. It has a fun Theme and great for Reminiscence. 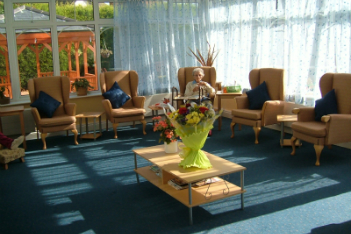 Our gardens are maintained so that residents can enjoy the peaceful surroundings. 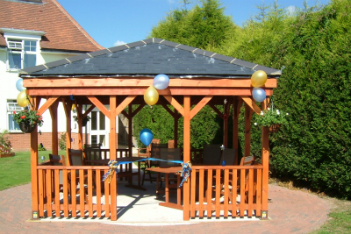 Recently, a beautiful gazebo has been erected to allow residents to enjoy the gardens from a sheltered position. There are five individual and tastefully decorated lounges, three overlooking the front gardens and two overlooking the back gardens. 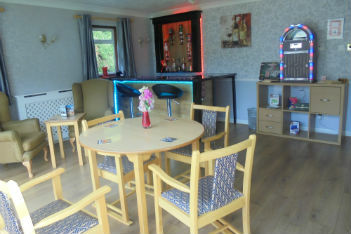 Our Temple Bar is a Mini Pub facility with Juke box and Fruit Machine. 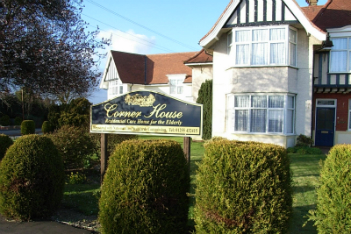 Each room is fully furnished providing a homely environment with telephone & television points & state of the art call bells. 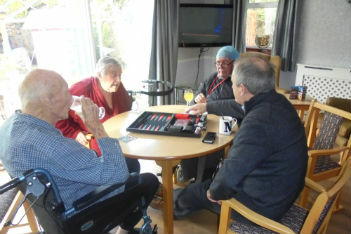 Our Men’s club meet weekly and enjoy games of poker, Cards or Dominoes. 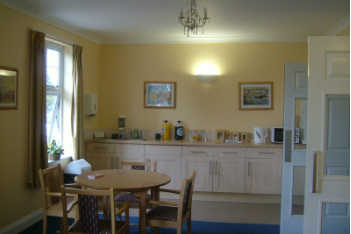 We have a quiet lounge with Kitchenette facilities to encourage independence for our residents and their visitors.